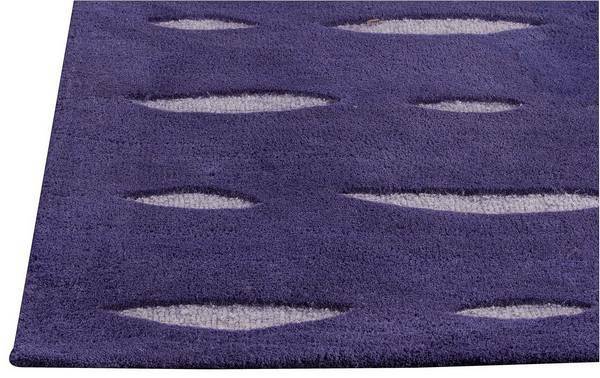 MAT Orange Wink Area Rug - Blue Purple - Swatches may be available. Hand Tufted. Contemporary. Symmetrical with an abstract flair, the Wink collection is a gracefully pleasing addition to your decorated space. Contrasting hues peek from what look like horizontal cuts through this interesting rug. 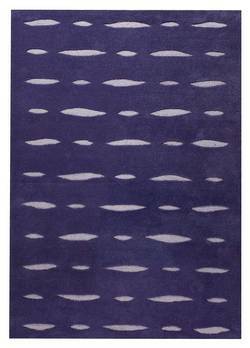 An artisan rug handmade from Indian wool, this collection has additional size choices and colorways available. 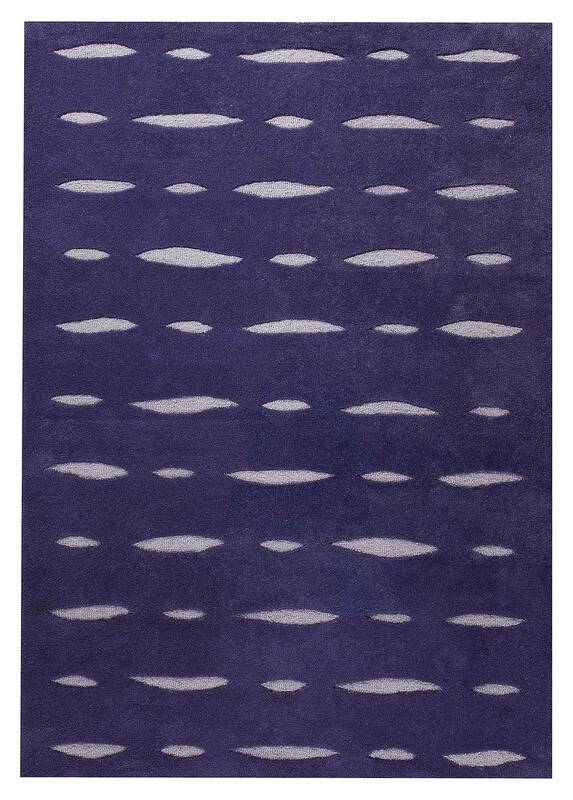 Easily update the look of a room by adding this rug to your freshly styled space. Hand Tufted with 100% Indian Wool. Geometric design. 100% Indian Wool. Cut and Loop; High Low; Hand Carved. Pile height is .5 inches. Made in India. MAT Orange Wink Area Rug - Blue Purple 5'2"x7'6"
MAT Orange Wink Area Rug - Blue Purple 7'10"x9'10"